Equity market is a market for internal or floating claim like common share and preference shares. A market that involves the issue of new securities by the borrower in return for cash from investors (Capital formation occurs) is called Primary Market. Secondary Market deals of buying and selling of existing securities. Funds flow from buyer to seller. Seller becomes the new owner of the security (Capital formation is not occur). 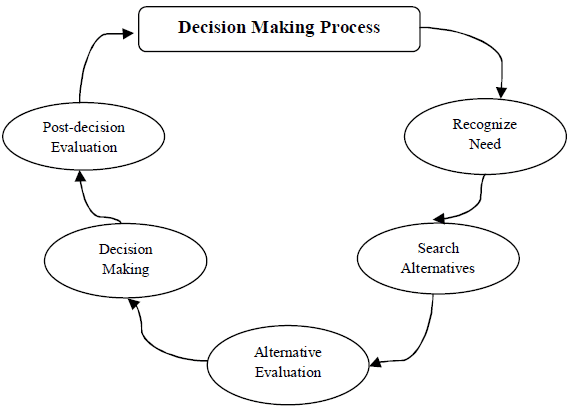 Decision making is the study of identifying and choosing alternatives based on the values and preferences of the decision maker. Making a decision implies that there are alternative choices to be considered, and in such a case we want not only to identify as many of these alternatives as possible but to choose the one that best fits with our goals, objectives, desires, values, and so on. External Business Environment: The following business environment factors outside an organization have a profound effect on the functions and operations of an organization. Agency theory, developed in the 1970s, a theory concerning the relationship between a principal (shareholder) and an agent of the principal (company’s managers). Principal hires an agent to represent their interest (Shareholders vote for the board of directors, who in turn hire the management team). Issues such as remuneration, accounting techniques or risk-taking are among the major concerns of both parties in this relationship. Conflict of interest between principal and agent because managerial goals may be different from shareholder goals. Incentives can be used to align management and stockholder interests. The incentives need to be structured carefully to make sure that they achieve their goal. The threat of a takeover may result in better management. >>> Practice Finance Basics Quiz 1 and Quiz 2.